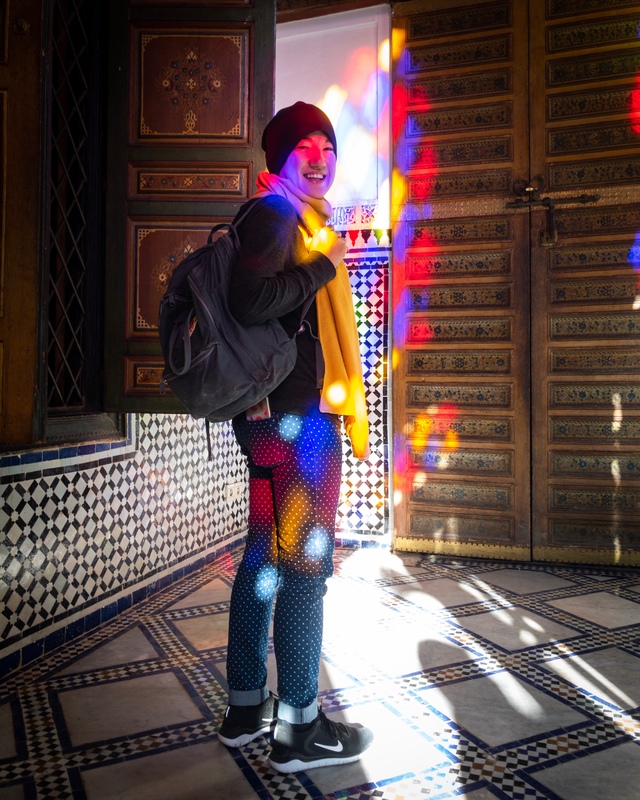 The stained glass windows in Bahia Palace, Marrakesh are pretty cool! Thanks to Kuba for this fun photo. Making goals and reflecting on my progress is important to me. It helps me grow and I wouldn’t be the person I am today if I didn’t push myself to achieve the impossible. I don’t always “win” when it comes to my goals because I purposely set the bar high. I’d rather do that, try my best and fail than set the bar too low. Choosing goals that are easy to achieve doesn’t teach me anything. I need to be challenged. I need to work hard. It’s more rewarding, it changes me as a person and I learn more from the experience. I’m not sure where I publicised the specifics of my goals for 2018 (I may have posted them on Facebook) but I had hoped to read one book a week (52 total for the year) and continue studying Polish and French on Duolingo by completing daily lessons. I failed at my goal of reading one book a week. I still managed to read 20 books in 2019, so I didn’t completely abandon my reading goal but still, I didn’t read as much as I intended. I didn’t make it a priority. Instead, my priority shifted to making daily vlogs. Soon after I set the goal, I dove head first into daily vlog production. Filming and editing each day consumed most of my free time (but not all of it because I wasted a lot of time scrolling through Instagram and Facebook). I also failed in my language studies. I studied daily for weeks at a time but lost all motivation once we moved into the van. Again, I just didn’t make it a priority since making daily vlogs was more important to me. Not having reliable internet in the van also made it tricky since I’d need a decent internet connection to use the Duolingo website. I still managed to complete the Polish course but since maintaining my studies wasn’t a priority for me, it fell by the wayside. I’ve learned several things from these failures. I should publicise my goals to hold myself accountable. It makes them more permanent, more real, more attainable to see them written out in front of me. I’m purposely putting my goals for 2019 into a blog post so I can reflect on them next year. To achieve my goals, I have to prioritise my time. I’m not sure who first said that we learn more from our failures than we do from our successes but I have to agree. Reviewing my failures from last year helps me set better goals for 2019. I have five goals in total. Two personal, two professional and one travel-related. A good balance! Reading is important to me. I’d rather read a book than spend time on Instagram, so that’s one of the reasons why I’m staying off of social media for the next year. Now that I’ve been off of social media for one full month, I suddenly have more time to read. (I’ve read two books so far!) Considering how much time I’ll need to achieve other goals for 2019, I can commit to reading one book every two weeks. This way, I’ll still end up reading more books than I read last year but it isn’t as ambitious as reading one book a week. If I can achieve 26 books (at the minimum) in 2019, then I can set the bar higher in 2020. This year is the year I learn a new musical instrument! I haven’t played one in years and part of me misses that. Someday maybe I’ll even busk alongside Kuba, who knows! Bringing the mandolin (or the guitar) to Greece and India isn’t practical (or affordable when travelling by plane) so I won’t be able to practice for ~23 days. I’ll just need to make up the time later in the year. Regarding my language studies, I honestly no longer feel motivated to keep studying both Polish and French. I have a good grasp of basic Polish phrases and that’s good enough for me. I don’t need to be fluent in Polish since Kuba is a native-speaker so I feel like focusing on French makes more sense. I took one college-level French course before I started travelling nomadically so I’m familiar with the basics. I still hope to become conversationally fluent someday. On the plus side, we’ll have an easier time communicating when we visit French-speaking countries! This year, I’ll focus on French and study 50xp on Duolingo each day. I won’t start learning another language until I complete the course. I scaled back my video production for my YouTube channel so I can have time to read, to play the mandolin, to enjoy life. Instead of making a new video every day, I plan to make one weekly video wherein the highlights of several days are edited together into one coherent episode. Eventually, I’ll make two videos each week, the second being less formal than the weekly episode but still covering a related topic. Check out my first episode of 2019! Last but not least, my travel goal for 2019 is to limit our travels to the van meaning no trips to faraway lands. (Of course, our upcoming trip to Greece and India doesn’t apply here since I booked that trip last summer.) From this point on, I won’t plan any trips that require flights. We have the van so we might as well use it when the weather is nice instead of paying to fly elsewhere. We still have our flat in Kraków until the end of September because we’re waiting for my EU residency permit to be approved. Once our lease is up, we do plan on moving back into the van full-time. For now, we’ll limit our travel adventures to Poland and the countries surrounding it as long as we don’t have to drive very far. It’s mid-January and I’m doing well so far! I’ve read two books already and my weekly episodes are on schedule. I just started studying French on Duolingo yesterday so we’ll see how long I can continue my streak! I don’t think limiting our future travels to the van will be difficult especially after spending three weeks hopping around India. 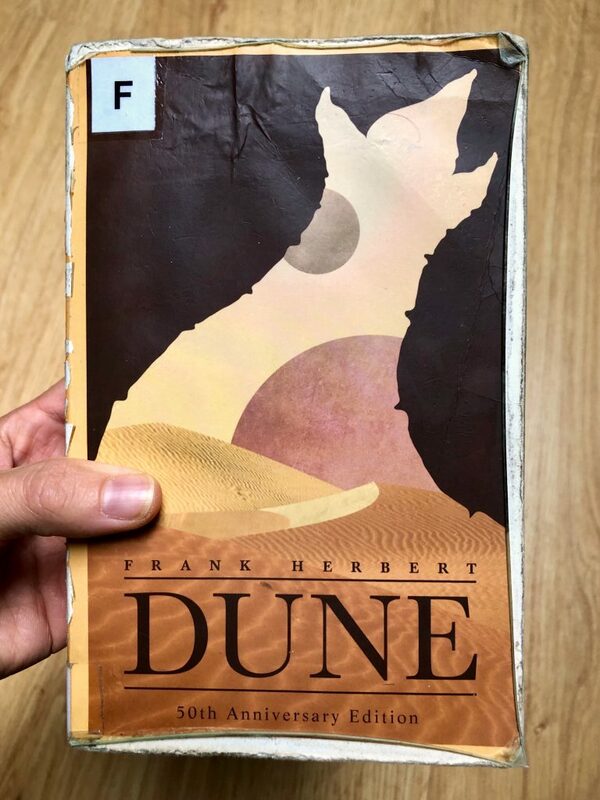 Book 1 // Is this the best sci-fi novel of all time? 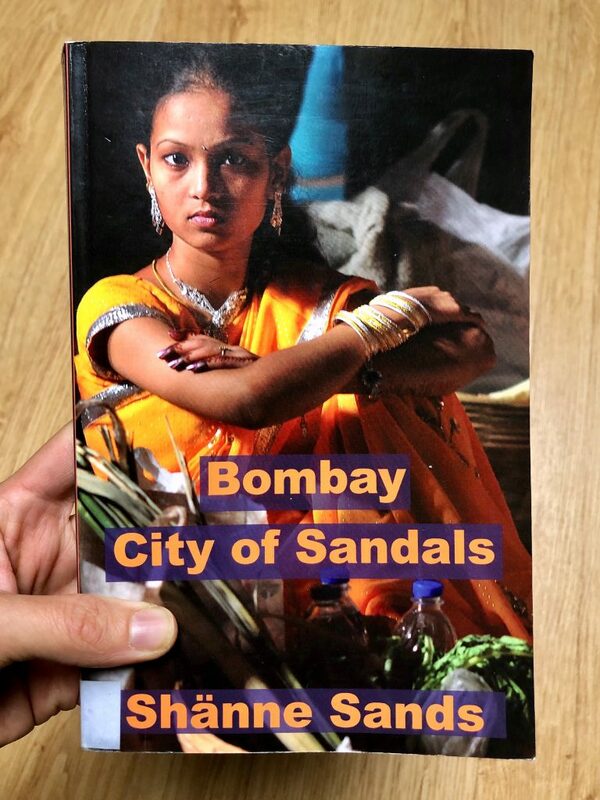 Book 2 // A colourful collection of unfiltered short stories about life in Mumbai. Written by an English expatriate. The most difficult goals will be writing a weekly blog post and practising the mandolin every day. 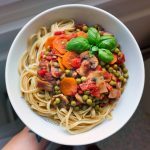 This will be my second blog post in January so it’s not a bad start. I enjoy learning mandolin but since it’s completely new, fumbling over the strings isn’t my favourite thing to do. It’s still fun, though! Do you have any goals for 2019? How will you achieve them? Wishing you and Kuba all the best for this new year. Your goals seem very clear and simple. I love Sci fi! But havnt read Dune yet. I heard Isaac Asimov’s foundation series is awesome aswell! I filled up my kindle for 2019. Gonna read as much as possible! Good luck with reading 26 books!